FTA Spantik 2011 - Back in BC! Spantik Update - Safe and Sound in BC and Celebrating the Summit! Tim called in to let us know that the entire team was back in BC today and already enjoying 10 year-old whiskey! 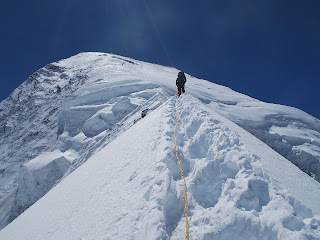 After sitting out some weather in C2 they had two perfect days of clear and calm weather for the summit push. Time said the route was in great shape and they had an excellent climb to the top. He added that the view they had for those days were as good as any he's had in the hills - and that is from one who has been to the top of Everest! They will have a good celebration tonight and, for the first time in a while, have almost nothing to do tomorrow except relax and enjoy the afterglow of a successful summit. They have ordered up the porters and will be heading out on the morning of the 26th to complete the quick two day exit to Arandu. If all goes well they plan to be in Skardu on the afternoon of the 27th and enjoying hot showers and soft beds! This will leave them the next 2 days to leisurely sort, clean and dry gear from the climb, play cards, sleep and simply enjoy the magnificent vistas from base camp. Tim will check in with another update tomorrow and then we should have much more once they are back in Skardu and Islamabad! Tim will be flying over to Nepal with a bunch of gear for our autumn trips in Nepal and India and is looking forward to eating pizza at the Fire and Ice when he gets there! He'll be handing over our Goal Zero power system to Ben who will bring it along on our Satopanth expedition which begins on Sept 3. The Goal Zero setup has worked very well for us and it is a nice integrated system of panels, batteries and ports. Highly recommended! 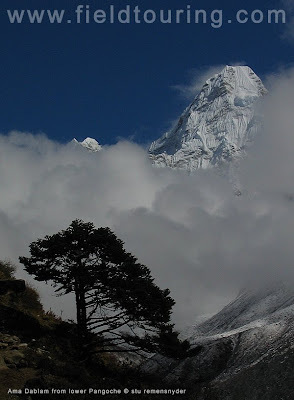 *You can join our Ama Dablam/Island Peak trip for both peaks or for just Island Peak! FTA Spantik 2011 - SUMMITS! Tim called in from the top of Spantik at around 9am local time today to let us know the entire team had topped out. They had quite a few nights in C2 awaiting a good opening in the weather and have made the best of it! This is a well deserved summit as the team had a good share of snow and rain in BC early on and managed to keep their spirits high with cards and books in BC!! Congratulations to Tim, Hanna, Marius, Dolors, Javier, Philip, Rita and Taqui! We'll have more details in the days ahead as they make their way back to BC, on out to Arandu and finally hot showers in Skardu! 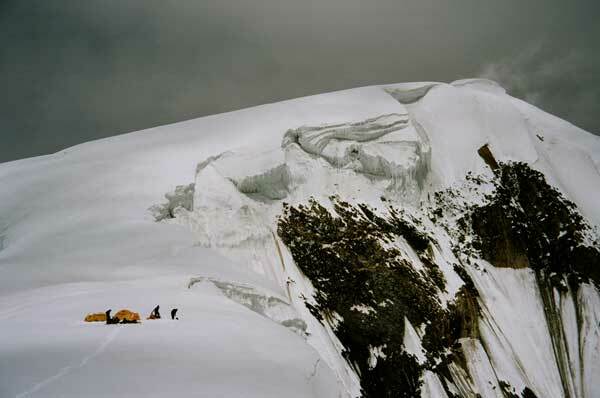 FTA 2011 Trip updates: K2, Spantik, Satopanth, Nepal, Argentina Ecuador and more! Chris has dropped us a note from Skardu to let us know that he, sophie, lakpa and the entire staff are back in town and done with the long trekking days to come out. the treks are typically 8-10 hours a day and are a bit of a grind after already being so tired from the climb but no one wants to extend the trek much as soft beds, hot showers and fresh food beckon! Chris will check in again from Islamabad with a general trip report and update. They are hoping to fly today to Islamabad if the weather cooperates! It looks like Wim Smets has become the first Belgian to top out on Broad Peak so we congratulate him for that! Sophie has made the shortest triple 8000m summits with Cho Oyu, Lhotse and Broad Peak in less than three months - not to mention an attempt on K2 to boot! There may be other firsts or interesting facts ahead and we'll post them here as we learn about them. Tim called in to let us know there was considerable rain and poor weather but his transmission was quite garbled. They were back in BC again after the first push up to C1. We have had a number of periods this summer where the Thuraya connections have been quite bad and we'll expect a full report when the satellites allow! Our team will be assembling in Delhi in early September and we'll begin dispatches at that time. A remote and challenging 7000m peak, it will be the second time FTA has tacked it with a successful trip in 2009 our first. We have two trips this autumn that will be getting under way in early October and early November respectively. We have spaces available on both so let us know if you are interested! Our November 4 trip is filling fast so spaces are limited! 4 peaks and 3 passes in 24 days in the heart of the Khumbu is hard to beat! Island Peak, Lobuche E, Pokalde and Gokyo Ri for climbers and we welcome trekkers to join us as well. During the climbing days the trekkers will have great side trips or relaxing days looking out at the great peaks. Spaces for cliombers and trekkers available still. We have quite a few trips from November through to the end of February on Aconcagua's False Polish, Polish Glacier and normal routes as well as Cotopaxi, Cayambe and other great peaks in Ecuador. Join us in India or Afghanistan in 2012... contact us for the pilot programs. We plan on Noshaq in July and Stok Kangri in September. We'll be setting the exact dates in the next few months but both trips will run about 24 days. Check out our site for all the details! FTA Spantik 2011 - headed to C1! Tim called in to let us know that everyone is doing really well and ready for the climb. They arrived at base camp after a beautiful trek in Arandu and found themselves one of two teams at BC. Tim said he was really taken with the expansive and flat glacier walk in and had never seen anything like it. 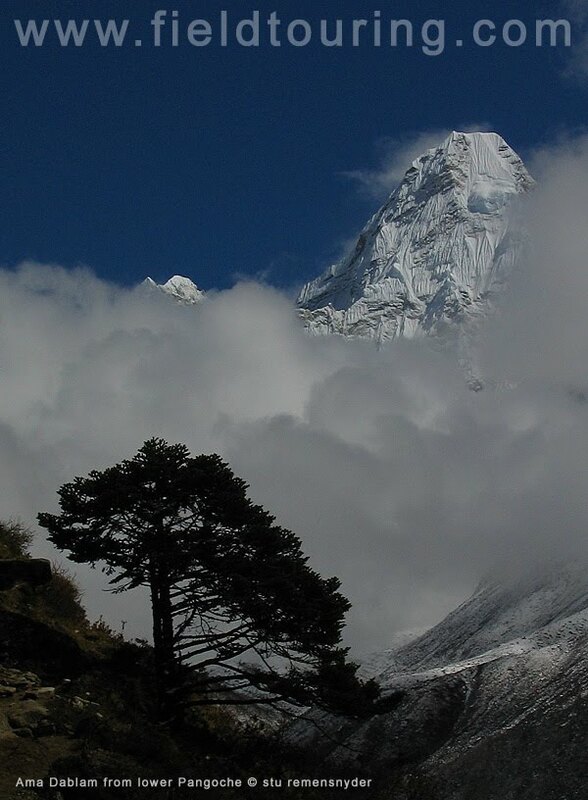 We commonly find that members who have been to the Khumbu, Tibet, Evest, Ecuador, Peru and more find that the Spantik scenery is the finest they have ever encountered. It will be great to see all the team's pictures when they come out! In the meantime enjoy pics from previous trips below! After pushing to C4 and spending the night in preparation for a summit attempt the winds were simply too strong and Sophie, Lakpa and all HAP's have descended to C2. On Sunday they will drop back to BC and we expect to have more news and updates when they are down safe and sound. The team will need to clear the higher camps of gear on the 8th and be ready for the porters on the 9th or 10th. We are glad that our K2 team has given the mountain a good effort but summits attempts are simply not possible in the winds they had and even high winds are coming in tomorrow leaving no more windows for our team this summer. Chris will be dropping a few audio dispatches in the days ahead and a final report when he gets back to Skardu in a few days time. Meanwhile over on Spantik our team led by Tim Colquhoun is already in BC and getting ready to begin tackling one of the great 7000m peaks in Pakistan! Stay tuned to follow their progress beginning shortly! Chris called in to let us know that the summit push is under way and they reached C3 on the 3rd as planned. Sophie, Lakpa, Farhad, Aziz and Said were in C3 last night and hope to push to C4 today. Rob came back down to BC after pushing towards C3 and is reconsidering his options at this time. The winds have been very strong even at base camp so they will be watching carefully this afternoon and evening for the very latest reports before making a final call on a summit bid on the 5th. All members are safe and sound and Chris will have more later today on how the push to C4 has gone. Stay tuned!